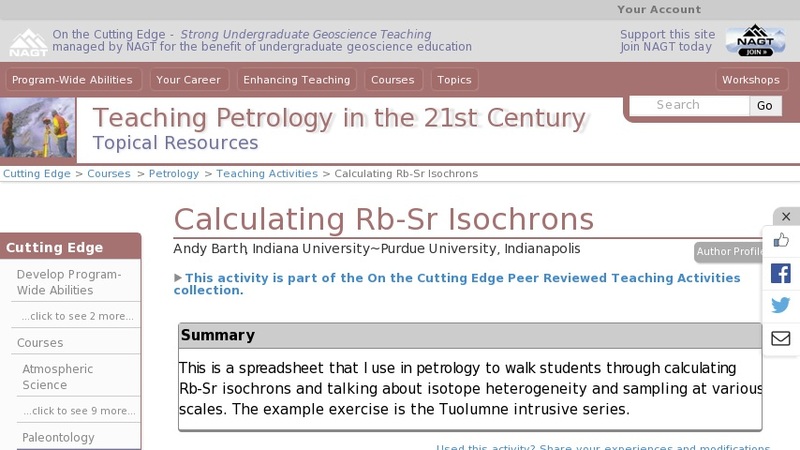 This is a spreadsheet that I use in petrology to walk students through calculating Rb-Sr isochrons and talking about isotope heterogeneity and sampling at various scales. The example exercise is the Tuolumne intrusive series. The file, available for download below, contains workbooks (see different tabs) with example isochrons and a spreadsheet of data for the homework problems.